Prague is one of the most beautiful cities in Europe with an amazing historical and cultural heritage, as well as loads of things to see and do. With this ASAPtickets flight deal you can now fly to Prague from $538 round trip from a lot of major US cities. If you go before the holidays, you can do your gift shopping at the breathtaking Prague Christmas Market. 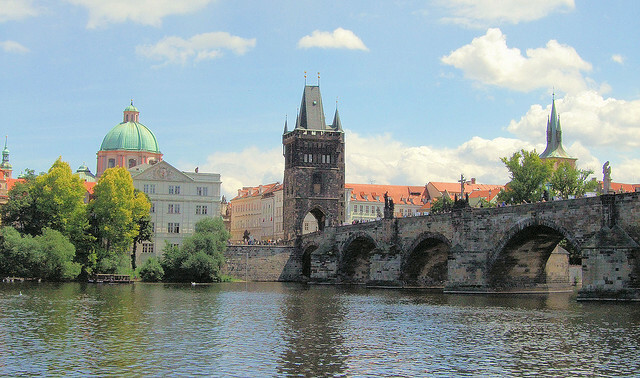 While walking in the city ad enjoying the beauties it offers, do not miss the Prague Castle, Charles Bridge, the Franz Kafka Museum – if you’re a literature buff, the Astronomical Clock and the many other must see attractions in Prague. Book as soon as you can to put your hands on these rates and you can travel through September 15, 2012 from Atlanta, Philadelphia, Miami and more big cities. ASAPtickts shows $845 of their deal page, but Metafares editor found even lower Prague flight rates, check them out in the table. *Prices include all applicable taxes and fees. Only exclude baggage fees. Step 1 Click one of the rates to get to ASAPticket’s page. Step 2 Introduce your departure city and travel dates and hit search. Step 3 Pick your deal and call ASAPtickets for booking. ASAPtickets features individually negotiated fares that cannot be bought online, that is why you have to call one of their travel agents, good thing is that they operate 24/7. This entry was posted on Tuesday, November 29th, 2011 at 8:16 am and is filed under Airfare Deals. You can follow any responses to this entry through the RSS 2.0 feed. You can leave a response, or trackback from your own site.